Kendrick White continues identifying Russia’s most acute systemic problems and emphasizes the roles of the government—both unwarranted and mandatory. We proceed to a second systemic problem in this country. The commodity economy’s systemic reliance upon monopolies has driven the economy to a systemically high level of inflation; it is very difficult to reduce this inflationary pressure. High inflationary levels have in turn led the business and financial community to a short-term investment mentality, seeking to lock in profits as quickly as possible. This short-term investment strategy, in turn, has lead to a short-term transaction mentality in the business community: buy low and then sell high as quickly as possible. This philosophy is completely opposite from what is required to build an innovation economy: building fundamental and long-term business and investment strategies. So, an economy with high levels of economic fluctuation, high levels of volatility, high levels of monopolization and high levels of inflation, results in the entire business community being overly focused upon short-term profits: how quickly can something be bought at one price and sold for a higher price. Starting a new business, especially an innovation one, is a very risky venture. In the U.S., probably seven out of ten companies fail and go bankrupt in the first year—and that’s in a very, very open environment. So, in Russia it is extremely difficult for a small business to start in this environment from zero and grow up. There’s a high failure rate, which means there’s a lot of disincentives for entrepreneurs to start businesses in the first place because they understand the difficulties—and on the contrary, there’s a heavy stimulus to do just trading. This short-term mindset, coupled with a rigid top-down political structure of Command & Control, has created a system whereby the long-term production facilities are initiated and financed from the Center. Then, they are placed in the regions on the orders of government officials in Moscow. Finally, they are then left to local managers for final implementation. These local managers are primarily interested in grabbing whatever they can for themselves, their close associates, and families from the operations of the state-controlled entities. A natural tendency has developed during the past twenty years for private entrepreneurs to develop trading companies. Import some product from Germany at price X and then sell it for three times higher the price in Russia. Trading companies have no manufacturing costs, low administrative and operating overheads, and can be financed easily with short-term credits. An entrepreneur simply has to rely upon his own personal connections and a small administrative team which imports products at one price, pays the customs and other trading and transport fees to get the products across the border, and then sell them at a higher price. From another angle, local entrepreneurs often buy commodities in Russia extremely cheaply through whatever personal connections they may have, and then export them to the West or East at ten times the purchase price. A vast number of people make money in Russia this way: through quick turnover and transactions, with a mutual reliance upon various forms of corruption making the entire process possible. If an asset is owned by the State, then effectively everyone owns it, or rather no one in particular owns it, and therefore whoever controls it will always seek a means to keep the profits. An additional fundamental problem which Russia faces is the high level of systemic administrative costs in this country. With so much of the economy managed by the State, a resulting extensive government bureaucracy has resulted, designed as a check and balance system to ensure that state employees do not steal resources from the government. While a natural result of the Command & Control form of State Capitalism, this administration is also tasked with controlling private enterprise, making sure that every tax payer does not cheat and that all citizens are held accountable. Unfortunately, this current system raises the administrative cost of doing business for small entrepreneurs so high that they cannot survive the rigors of developing real production and manufacturing enterprises, which again encourages the trading mentality. As the majority of the world’s professional economists understand, the backbone of any innovation driven economy is the small and medium sized business, led by creative entrepreneurs driven to grow their business and increase their profits. These entrepreneurs desire as little administrative cost as possible, as their businesses constantly require additional capital to grow and expand market share. At this point in time, political and business leaders in the Russian Federation understand: the only direction for Russia’s long-term development is to support growth of small and medium-sized businesses. This is essential, this is critical; and therefore today laws are being changed to make it easier for businesses, to reduce the bureaucratic hurdles, to reduce the number of checks by fire authorities, software authorities and what not. All these checks mean more time away from the business and more time and resources trying to settle administrative problems. If the government reduces these hurdles, more small businesses will be started—simple as that. 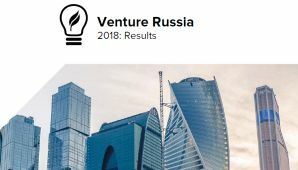 Unfortunately, each of Russia’s systemic problems mentioned, combined with the country’s historical short-term investment horizon mentality, has led to the de-motivation of wealthy Russian investors from investing in risky, long-term innovation projects. By their nature, innovation investments require long-term investment horizons of five, ten, fifteen and perhaps even twenty years to realize profit. 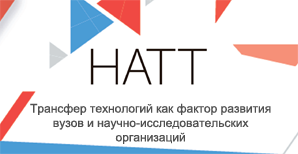 This is the amount of time it may take to develop a company from a start-up to the level of Yandex. It has been a twenty-year development prospect for this company which has the potential of going public at any time. In order to address these systemic problems, any government should fundamentally understand the critical role it plays in the socioeconomic system. The primary role of any government tasked with regulating a market driven economic system is to reduce as much as possible the systemic risks impacting the ultimate stability of the economy. In so doing, the government will effectively encourage private investors to risk their capital on projects within that country. The lower the risk factors, the longer the investment time horizon private investors will be ready to risk their capital. Governments should be tasked to develop, improve and maintain infrastructure such as water purification, roads, and telecommunications systems. All these public utilities need to be developed and maintained by the government in order to reduce risk and increase stability because investors need long-term stability more than anything. Governments must also manage currency risk and public debt levels and therefore have an obligation in developing properly functioning financial markets and banking systems. In this situation, the response of private investors should be - if the government is laying the right foundations, reducing risk levels, corruption and red tape, establishing the rule of law and an objective legal and free press system of checks and balances - to support their local economy with investment capital. Unfortunately in Russia, too many potential wealthy investors very often move their money abroad due to the systemic risks prevalent in the country, which have made it difficult to invest in Russia during the past twenty years of economic restructuring. Compounding the problem is that there has only been a period of twenty short years in which to develop a new breed of entrepreneur capable of starting and growing a new business to the point that it can be sold or taken public and thereby making its founders very wealthy. In the West, these investors are known as “Smart Money” as the projects they support going forward after the sale of their initial company can benefit from not only the financial capital which the investor contributes, but also the extensive “hands-on” business experience which such an investor can provide to any new young start-up company. Statistically, little money is flowing in Russia into direct investments in start-ups and early stage innovation projects. Few people with the right combination of experience and wealth can both develop and implement the necessary commercialization strategies for such projects, which are required by investors to convince them to risk. If, however, the Federal Government continues to follow through on its restructuring of the economy and tackling the systemic risks head on, Russian and many other investors should return to invest in the new Hi-Tech Russian economy. In parallel, however, it will be necessary for the Russian government to also dramatically improve and expand upon the system of business education in the country to develop a new generation of managers ready to work with investors on commercializing the country’s great academic and scientific resources. Another role of the government is to encourage new start-ups and SME development and to promote innovation commercialization within the universities so that the best and brightest minds in Russia can be encouraged to develop their scientific initiatives here in Russia. The alternative is to export themselves to the United States or the EU or Asia or anyplace where they can obtain a high-level salary and ultimately earn commercialization income from their labors. The historic “Brain Drain” which has plagued both Russia and other countries of the former Soviet Union for the past fifty years must not only be stopped, but reversed. It is essential for the country’s long term development to fully utilize the experience which the Diaspora has accumulated in foreign markets, critical for estimating the global market potential of Russian technology innovations. The main role of the Government is to encourage Russia’s top intellects to remain in Russia and develop their private business and become wealthy as a result. Russia is not a largely populated country, with only about 142 million people. In this situation, the demographic structure of Russia is much more similar to the advanced EU or American or Japanese economies, where the society must rely upon innovation and creativity and design for its competitive advantages. In today’s globally integrated economy, Russia cannot position itself as a low cost manufacturing competitor to China, and it will not be a competitor to China in the 21st century. Russia should not try to position itself as an outsourcing production unit for any other country in the world. Rather, the country should be positioning itself at the highest level of the intellectual food chain. Russian scientists and innovation entrepreneurs should be focused designing new solutions to solve global problems and then basically producing the most advanced components here and licensing these products for final assembly in other low-cost production countries such as India, China or newly emerging economies in Africa and Latin America.